Who cried after losing an insignificant match? I did, your honor … guilty as charged! That was the adult version of what happened … want to know what really happened? I had just lost the most important tennis match of my life. After a summer full of victories, we had finally made it to the championship. I was picked to play singles and I was so proud. I had figured that if I won singles, as well as doubles, that we would need only one more win out of the remaining three matches to take the title. That wouldn’t be an easy feat since I did not have much faith in the girls on our team, but I would be our only shot. Did I mention that I was 11-years-old at the time? I knew my opponent well. His name was Martin, and he was the best player on my soccer team. He was a good athlete, but I strongly believed that I could beat him. He didn’t even care that much about tennis. He only played because it was the summertime and the soccer season was over. Nevertheless, I unexpectedly lost the match. Martin played steadier than I did, and my shots weren’t going to the right spots. As Martin joyfully chased down all my shots, I saw my mission go up in flames. I bit my lower lip as I shook his hand to congratulate him. I quickly made my way to the locker room where I burst out crying. My teammate, Mark, also 11-years-old, soon joined me to console me and discuss our upcoming doubles match. As I was trying to get myself together, the door swung open. My mother walked in and said, with a disapproving tone, “Are you crying? ARE YOU CRYING? There’s no crying in tennis!” (I made up this last line). I remember how embarrassed I was that my mother just walked into the men’s locker room, and how ridiculed I felt for crying like a baby. The reason I remember this story so well is that I never cried again after a match. I just got angry instead. If being and acting disappointed was not “allowed,” I would try something else. Now what does this story have to do with motivation? Genuine intrinsic motivation has three key ingredients: Autonomy (self-governance), Mastery and Purpose. At the age of 11, I had just picked up the sport of tennis and I instantly loved it. I come from a soccer family, and I always enjoyed being part of a team. However, all summer long, I had practiced my tennis game and enjoyed it. All the different skills that I learned were executed, and most importantly to me, it was all on me in a match … I was the one in charge! I consider the event I described the origin of my struggles on the court as a competitive tennis player. My parents had watched me play soccer for many years, where we won or lost as a team. This was the first time, however, I received feedback on my individual performance and behavior after losing. Children make decisions without the perspective of an adult, and often it can have lasting negative effects. I decided never to cry again after a loss, not to be myself. My ‘decision’ to an angry boy all the time hurt me more than it helped me. It was confusing, and I was struggling with doubts and motivational issues during my entire junior tennis career. In my collegiate tennis experience, I had a breakthrough. I was lucky enough to be guided by a very wise coach. He was tough on me, but fair, and he instilled in me a great respect for my opponent, myself and for the game of tennis itself. He encouraged me to always play “within myself,” and he showed tremendous faith in me. I had never felt this before. This resulted in a new trust in my own ability to problem-solve. I never let down my coach, and even better, I feel I never let myself down again. To parents and coaches … the autonomy part of motivation is a huge factor. It’s important that we show faith in our youngsters so they will develop faith in themselves. 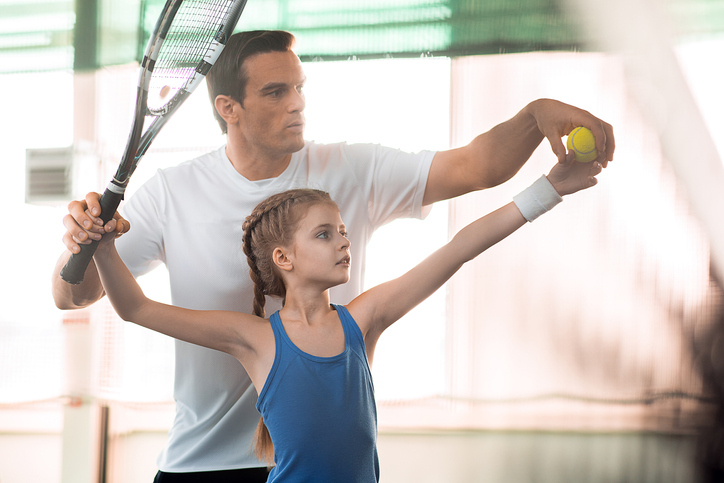 Tonny van de Pieterman is director of tennis at Point Set Indoor Racquet Club. He was recently named USTA Tennis Professional of the Year for the USTA/Eastern-Long Island Region and helped the Eastern Section win this year’s Talbert Cup. He may be reached by phone at (516) 536-2323 or e-mail Tonny@PointSetTennis.com.